After a brief stop in Switzerland, the peloton heads back across the border into Italy. 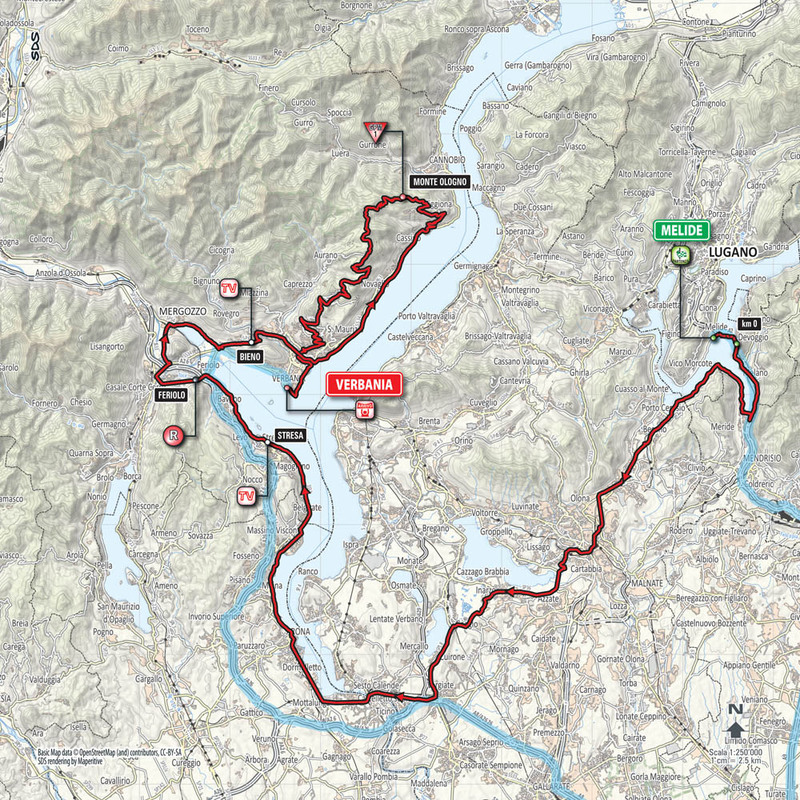 There’s still time to take in some more of what the Swiss have to offer, including the huge Melide causeway and a picturesque backdrop of mountains that feature at today’s start. Among the many challenges set to shake up the GC in the final week, stage 18 looks like a potential joker in the pack. 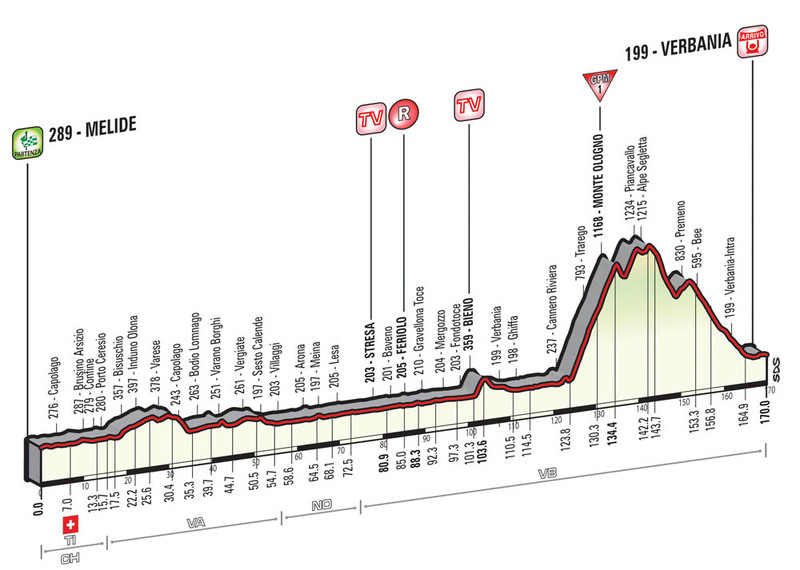 Unlike the two days in the mountains that follow, this one finishes at the bottom of a climb rather than at the top, which could provide downhill specialists with a chance of gaining time and to put their less confident rivals under pressure. In the build-up to Grand Tours, descents are often overlooked as a key factor in deciding the GC, but have played a prominent part in recent years. Paolo Savoldelli would probably not have won the overall twice were he not such a masterful descender; Vincenzo Nibali used his skills to win a stage in 2010, and the wet downhills in the 2013 edition played a part in forcing Sir Bradley Wiggins to abandon the race. The climb the riders will take on prior to this descent to the finish — the Monte Ologno — is monstrous. It has an average gradient of nine per cent which rarely fluctuates throughout its 10.4km duration. The favourites should come to the fore at its lowest slopes and do battle for the remaining 40 or so kilometres of the stage.